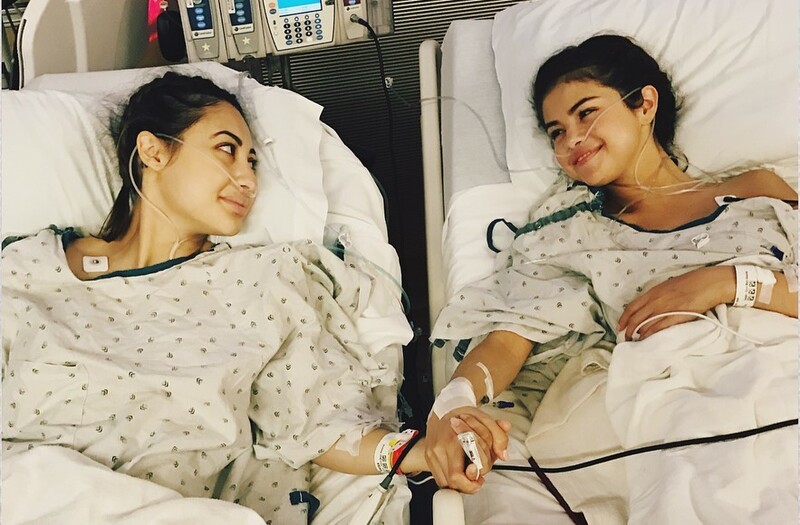 Selena Gomez’s Best Friend Donates Kidney To Save Her Life | Do You Know? Selena Gomez revealed on Thursday that she received a kidney transplant from her BFF. The singer posted a photo on Instagram that shows her and fellow actress Francia Raisa holding hands across their hospital beds. She said: "I'm very aware some of my fans had noticed I was laying low for part of the summer and questioning why I wasn't promoting my new music, which I was extremely proud of. So I found out I needed to get a kidney transplant due to my Lupus and was recovering. It was what I needed to do for my overall health. "I honestly look forward to sharing with you, soon, my journey through these past several months as I have always wanted to do with you. Until then I want to publicly thank my family and incredible team of doctors for everything they have done for me prior to and post-surgery. " And finally, there aren't words to describe how I can possibly thank my beautiful friend Francia Raisa. She gave me the ultimate gift and sacrifice by donating her kidney to me. I am incredibly blessed. I love you so much sis." She encouraged fans to learn more about the disease by visiting the Lupus Research Alliance website, lupusresearch.org. Francia, who donated her organ, is a close friend of the pop singer and actress, and had previously shared a tribute to Selena on her birthday last year. "I am obsessed with every memory we've built in the last eight years and the ones we have yet to create. I am so grateful that God put you in my life when he did," Francia wrote. She added: "It's been so inspiring watching you grow and to grow with you. I learn so much from you and I'm so so so proud of you. Happy Birthday Hermana. Love you so so so much."